Yep, you read that correctly! In exactly two weeks, Dai and I will be boarding a plane to New York City! Some of you may already know this if you follow me on Twitter, but I am unbelievably excited and am still in awe that we are actually doing this. I have never been to the East Coast, and somewhere along the way, this idea of visiting (especially at this time of year) is irresistible to me. I have been just waiting and waiting and waiting to finally tell you all this, but wanted to find the right time to do so! When we booked the tickets back in early October, after going back and forth about the matter for a couple months, it seemed like such a long ways off. But here we are, only two weeks away from the big day! I honestly have never been so excited for an adventure before in my life. These are the experiences that I think make the best memories in life. These are the things we are supposed to do as humans, see this huge world. Any suggestions for things we must do or see? Come on people, help a girl out! 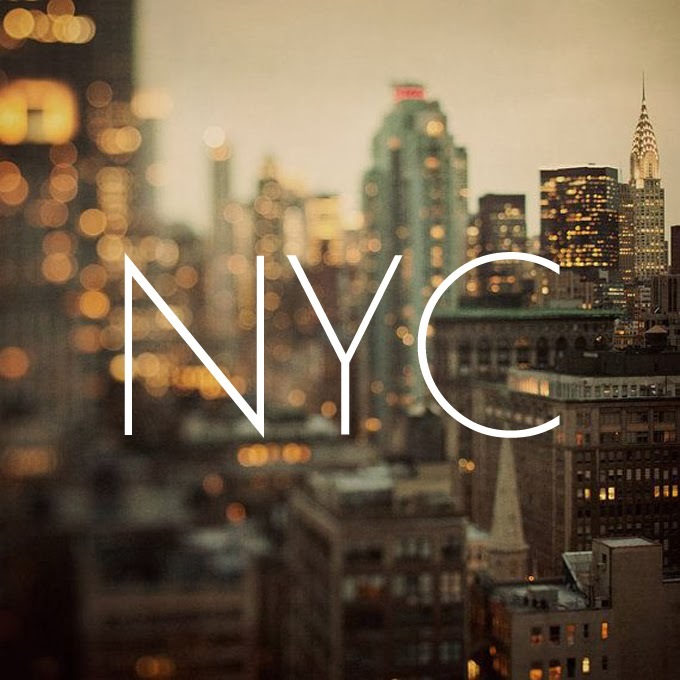 I would love to visit NYC some day. I don't blame you for being uber excited, I would be too! Have fun!! I will definitely write those down! Your plans sound so dreamy that I just might have to make a day of it! BYOB for wine? I'M. IN. Thanks, girl! Thanks so much, Ashley! Still nailing down our plans, and today was the first snow of the season there, so things should be pretty magical! Thanks Katie!! I really don't know much about NYC, but I've been doing a lot of research so that's good. I just can't wait to explore!